Few things intrigue me more than design. Somewhere, someplace there are people deciding what we’ll be wearing next season, what color we’ll “like” and what patterns will emerge on clothing, housewares, gift wrap, upholstery and wallpaper. No design motif has irked me more than chevrons. Wherever there’s a clean surface, a chevron will find a home. I know exactly where I was when I realized that we had entered the Chevron Era. In 2013 I saw two guests at the same wedding wearing the same orange-and-white chevron dress. They were seated at the same table, and I can only imagine what they said to one another. “Oh, you’re wearing the same ugly dress that I am,” one woman says. “No, mine’s uglier,” the other counters. Let’s face it–horizontal stripes do not flatter most figures. The lines are jagged lines of the Richter scale, the result is even worse. I have had a running joke with my friend Candace, who was actually with me the time I spotted my first chevron garment in a ladies’ shop window. It was September 2013 and we both agreed that we were not fans. Since then we’ve turned chevrons into a torment, gifting each other chevron items, placing gifts inside chevron gift bags, sending emails of chevron photos. Recently, I sent Candace a wedding picture from Facebook—the chevron dress distracted all attention from the bride. About a year into this, I told Candace my ultimate chevron story. “I suffered the ultimate chevron torment on Sunday,” I told her. “The minister was wearing a chevron pattern on his stole.” I had to look at it for an entire hour. There is nothing soothing about the chevron. History tells us the design dates to 1,800 BC. Wikipedia reports that ancient Cretans designed pottery using those sharp wavy symbols. (I’d call them cretins.) Clearly we are not the first to be tormented with this motif. The symbol has been used for centuries on military uniforms, heraldic shields, particularly in Switzerland. 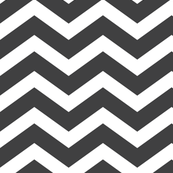 Maybe the chevron mimics the jagged peaks of the Alps. The asymmetrical look came into vogue a couple of years ago. Now nearly every tunic has one of those odd dips in the back or to the side, an elongated “V” front or back that will shout “2016” or “2017” to fashion historians. I am not fooled. They’re a chevron spin-off. We’re a deeply divided world right now—not just a rocky sea, but discord of seismic proportions. Chevrons, I think, reflect gnashed teeth, the rocky waves, shaky ground. Look at the lines of clashing pickets and signs, the body language of people who disagree. It’s very angular. Reinforced by peaked hemlines of tunics and skirts, exclaim the fact that we’re throwing ourselves a curve, rocking the ship of state, not standing on the level. Chevrons may well be the perfect sign of our times.